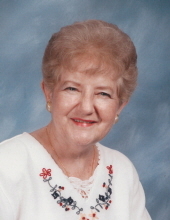 Lorraine E. Longhenry, 88, of New Philadelphia and formerly of Pittsburgh, Pennsylvania, passed away peacefully in the Community Hospice Truman House on November 5, 2018. She was born on September 6, 1930 in Pittsburgh to the late Charles and Sarah (Taylor) Longhenry. After graduating from high school, Lorraine continued her formal education receiving her degree in music at the University of Pittsburgh. Lorraine was a faithful member of the Fairhaven United Methodist Church, where she served as the organist for 62 years and was a member of the United Methodist Women. Her professional career spanned 37 years with PPG Industries. Lorraine is survived by her niece, Eileen (Rodney) Furniss of New Philadelphia, in addition to other family members. She was preceded in passing by her brothers, Raymond (Mildred), Charles (Estella), Theodore, Leonard, and Elmer Longhenry, and sisters, Ellen (Fred) Smith and Edith Longhenry. Visitation will be from 3-6 PM Sunday, November 11, 2018 at JEFFERSON MEMORIAL FUNERAL HOME, INC., 301 Curry Hollow Rd., Pleasant Hills, where services will be held at 10 AM on Monday, November 12, 2018 with interment at Jefferson Memorial Park. In lieu of flowers, memorial contributions may be made to Fairhaven United Methodist Church, 2415 Saw Mill Run Rd., Pittsburgh, PA 15234 or Community Hospice, 716 Commercial Ave. SW, New Philadelphia, OH 44663. To send flowers or a remembrance gift to the family of Lorraine E Longhenry,, please visit our Tribute Store. "Email Address" would like to share the life celebration of Lorraine E Longhenry,. Click on the "link" to go to share a favorite memory or leave a condolence message for the family.